What Happened to Prayer for the Conversion of Sinners (like me)? What happened to prayer for the conversion of sinners (i.e., Fatima message) instead of the the acceptance of sin? What happened to fighting the good fight? Are we to abandon the Cross of Christ? I cannot believe that the Church's message for people living in an "objective situation of sin" (Amoris Laetitia, 305) is not one of conversion, of repentance, of resolute amendment to one's life. And if you are not faithful to Jesus and the Gospels, why would you want communion? Do not say God does not love you. It is precisely because God loves us that God calls us to repent of our sins. It was out of love that Jesus preached repentance: "Repent, for the kingdom of heaven is close at hand." Jesus preached repentance because he knew we need to be healed from sin. Read the following article and you decide if the kingdom is being faithfully proclaimed. MALTA, January 19, 2017 (LifeSiteNews) -- A Maltese archbishop is defending guidelines he released last week along with his brother bishops that allow Catholics living in adultery to receive Holy Communion, provided they are “at peace with God.” He says the guidelines are faithful to Pope Francis’s exhortation Amoris Laetitia. “What we did was put the arguments in order so that they could be followed logically, making it easier for priests to understand what the papal exhortation was asking of them,” Archbishop Charles Scicluna said in a January 17 interview with Times of Malta. The Maltese bishops have been criticized by renowned American canon law expert Edward Peters. Dr. Peters described the guidelines as the “Maltese disaster," and said they ignore perennial Catholic teaching on marriage and the sacraments. 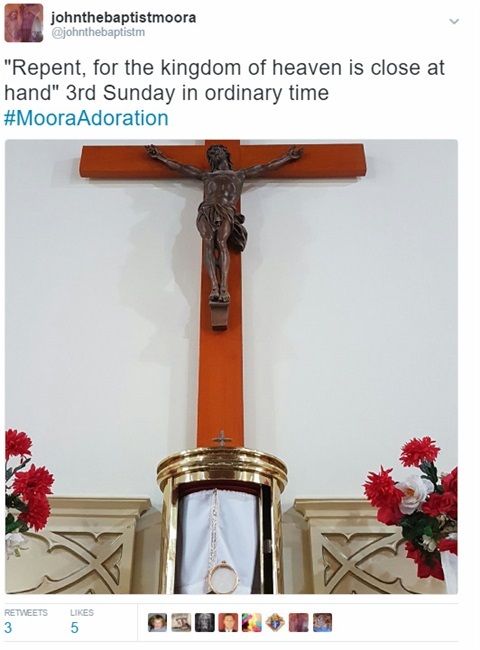 The Malta guidelines, he explained, amount to saying that "holy Communion is for any Catholic who feels 'at peace with God' and the Church’s ministers may not say No to such requests." Commented Peters: "In my view the Maltese bishops have effectively invited the Catholics entrusted to them (lay faithful and clergy alike!) to commit a number of objectively gravely evil acts." But Scicluna, the Vatican's former chief prosecutor of clerical sexual abuse, insisted that he and his fellow bishops were simply following what the pope laid out in his April 2016 Exhortation on marriage and the family. “I invite people to refer to [our] document, because the guidelines quote extensively from Amoris Laetitia and make constant reference to a discernment process that has to take place,” he said. The archbishop stressed that the main concern in crafting the guidelines was to be entirely faithful to Amoris, not adding anything to the pope’s Exhortation. This is why the guidelines quoted extensively from Amoris, he said. But Peters commented that the Maltese bishops have “fallen completely” for a “false view” that contradicts canon law. “In Malta now, anyone who approaches for the sacraments should be recognized as being ‘at peace with God.’ Objective evidence to the contrary is simply no longer relevant. Canon 916 is thus eviscerated, Canon 915 is effectively repudiated,” he wrote. Other bishops who have issued guidelines opposed to Catholic tradition on Communion for the "remarried" include San Diego Bishop Robert McElroy and the bishops of Argentina. Kazakhstan Bishop Athanasius Schneider has criticized such guidelines as giving the faithful “permission to not observe...the Sixth Commandment.” Clerics who make such guidelines to appease such sinners are in effect saying that they can “continue in the joy of adultery,” he said. Earlier this week, Bishop Schneider and two other Eastern European bishops launched a "spiritual crusade" calling on Pope Francis to “revoke in an unequivocal manner” such guidelines. “A practice which permits to those who have a civil divorce, the so called ‘remarried,’ to receive the sacraments of Penance and the Eucharist, notwithstanding their intention to continue to violate the Sixth Commandment and their sacramental bond of matrimony in the future, would be contrary to Divine truth and alien to the perennial sense of the Catholic Church,” they wrote. The Maltese bishops' guidelines come two months after four Cardinals went public with five yes-or-no questions, called dubia, asking Pope Francis if Amoris conformed to Catholic moral teaching. As a result of the pope's ongoing refusal to respond, they have suggested they may issue a formal correction of the document sometime this year.